I had Harrison Saturday 2-28-15 at 5:58pm. Little dude was 8lbs 15oz, 19.5 inches long. He has a head full of hair and has to be nurses into a zombie state, otherwise he acts like no one feeds him. 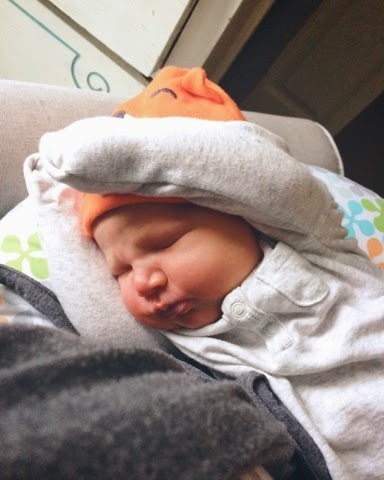 Monday I'll be back here on the blog as usual, and sharing his birth story before I forget it. Some of it my Mom has already had to remind me of, boy is birth a whirlwind!